If there's one Marvel movie I'm looking forward to more than any in the near future it's got to be Guardians of the Galaxy. Apart from a stellar cast it's also one of my favourite comic books so seeing it on the big screen is a huge dream of mine! 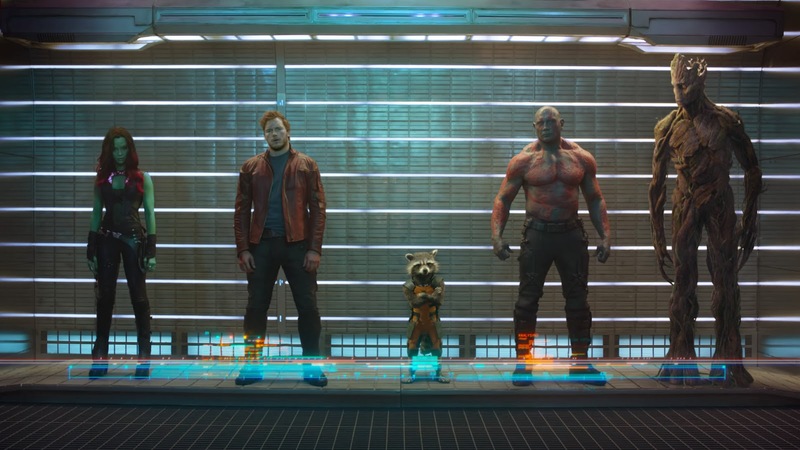 Here's the first image of the main cast of characters - Gamora, Star-Lord, Rocket Racoon, Drax, and Groot.